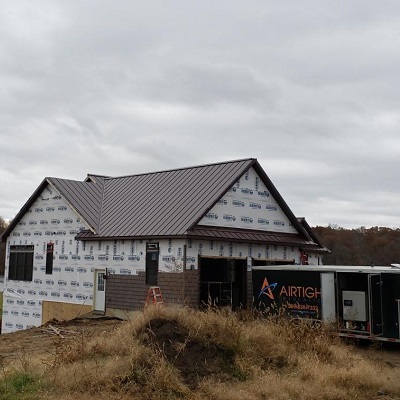 Airtight Insulation LLC is committed to providing you with cost effective and healthy energy efficient solutions that are environmentally friendly and American made. We are professional experts in spray foam insulation. We come with extensive training, certifications, and experience in designing solutions for both residential and commercial projects. No one can insulate your home with foam like Airtight Insulation LLC! Recognizing the mandate for increasingly energy efficient building envelopes, air krete® scientists developed an insulation material unlike any other, to fulfill the high technical and environmental demands of our times. Airkrete is resistant to mold, fire and maintains a high insulation value for years. 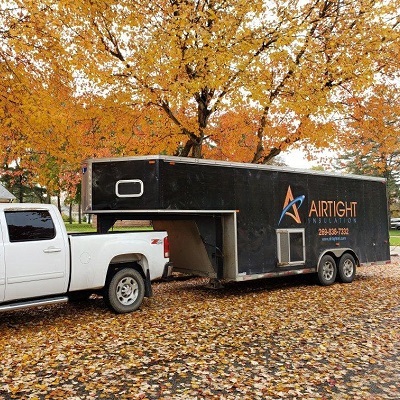 Once you contact Airtight Insulation, we will meet with you to provide a complete analysis to determine your insulation needs. We will take your needs and then provide you with our recommendations. In addition to our recommendations, we are always happy to assist in educating you further about insulation and our green product line of Soy Spray Foam. During this process, we also provide you with your energy saving tips, materials, and tax incentive paperwork. Your insulation project will begin and we will be on-site to prep the entire working area. We prepare a job site for spray foam application by masking all entry points such as windows and fixtures. We will then install proper ventilation in and around the entire work area. We begin spraying with our foam. We use only the best foam products on today's market for all of our clients. Our foam is environmentally-safe, non-toxic and completely air-seals residential and commercial buildings. Combined with a proper air management system, these products are the answer to improved indoor air quality, energy efficiency and sound abatement. After we have completed your airtight insulation, our last step is to clean up our entire work area. We discard all debris, remove all of our masking points, clean all studs for drywall application, and remove all of our equipment. Our goal is to leave every job site cleaner than when we entered! Our superior airtight spray foam is environmentally-safe, non-toxic and completely air-seals residential and commercial buildings. Combined with a proper air management system, our spray foam is the answer to improved indoor air quality, energy efficiency and sound abatement. In addition, our airtight insulation seals out dust, allergens, odors and pollutants, which allows for your indoor air quality to be much healthier than traditional insulation. The airtight insulation results in increased energy efficiency, which translates into short- and long-term savings such as the use of a properly sized HVAC unit; elimination of building wrap, less use of natural resources and lower utility bills. Overall, our spray foam is soy-based, completely non-toxic (no HFCs, HCFCs, formaldehyde or asbestos), safe for use with chemically-sensitive persons, reduces airborne dust and allergen infiltration, helps prevent mold and mildew, strengthens your structure, saves money, saves natural resources, allows for downsized heating and cooling equipment, significantly reduces airborne noise, and provides you with tax incentive rebates from both the State and Federal Government.